Expressive Arts and Transpersonal Therapy: What's the Connection? Transpersonal therapy can be a powerful framework for using the expressive arts, such as music, drama, and visual art. But many people are unfamiliar with transpersonal therapy. 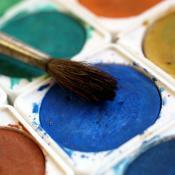 You may be wondering what this term means and how it relates to expressive arts processes. Here’s what you need to know about transpersonal psychology and how it connects with expressive therapies. Transpersonal psychology is also unique in its focus on wellness rather than pathology. A key idea in transpersonal therapy is the belief that all humans, under the right circumstances, will move naturally toward a state of wellness and wholeness. The role of the therapist is to guide the individual in this move toward wholeness by acting as a facilitator and not an expert. Your specific experience in doing expressive arts with a transpersonal therapist will vary depending on your own creative interests, the therapist’s background and training, and the problems for which you are seeking help. In some cases, one expressive process might blend with another. 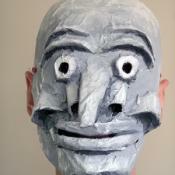 For example, you might sculpt and paint a series of masks showing the different aspects of your personality, then create a skit in which you use the masks to act out a scene. You might then also write a journal entry or poem describing your experience of producing the skit. All of these actions would be undertaken with the guidance and support of your therapist. And, of course, any creative processes that you engage within transpersonal therapy will be handled with care by your therapist. Your therapist will assist you in exploring the emotional, intellectual, and spiritual meanings that you find in these processes. In many instances, your therapist may encourage you to engage in imaginal processes. This term refers to an ability to relate to your own artwork, music, or writing as if it is a messenger. For example, using an imaginal process with visual art might mean that after you’ve painted a dragon-like creature, your therapist will help you to create a dramatic or written dialogue in which the dragon itself is given a voice. Another common technique in transpersonal expressive therapies is to explore archetypes, evocative symbols that are found throughout human history. Some basic archetypes include the magician, the wise old woman, the hero, and the trickster. These symbols and their relationship to your own situation can be explored with various expressive arts practices such as journaling, visual art, drama, or sand tray therapy. While some of you might prefer a more direct approach that is planned and structured with clear homework assignments, such as cognitive behavioral therapy, others might prefer the looseness of a more organic process that lends itself to the transpersonal realm. If you are lucky, you might even find a therapist who is skilled at applying an eclectic approach, combining different therapies for a dynamic outcome. For me I would say that there is this connection because the expressive arts are a way that allow you to tap into that spiritual side of you that other things may not allow. There are so many things in life that serve to stifle this kind of creativity, but with something like art therapy for example, you are able to delve into the things that creatively important and meaningful to you, and these are the things in life that can have a very profound impact on you on a spiritual level. I am sure that for someone going through an inner healing process this could be very useful in helping them move forward on their healing journey. But I don’t have a creative bone in my body- how do I know that this could work for me? What I have found, Morgan, is that it is not necessarily about how creative you are, but how creative you are willing to allow yourself to be. Does that make sense? If you are willing to oopen your mind a little then you will find that there is all of this inside you that needs to come out and what better way to do that than in a way that can feel creative and freeing all at the same time. I realize that for many this could be out of the comfort zone, just as running a marathon might be outside of mine. But there is something challenging yet uplifting about taking on something that you have never done before and allowing it to change you in a new way, a way that makes you actually feel GOOD again. Kim and Kara, I couldn’t agree with you more! Art therapy is so much about having the courage to try something slightly outside your comfort zone. Interestingly, all of us are creative when we’re young, before we become self conscious or are criticized. When we create (no matter what it looks like) we are empowered. We’ve made something with our own hands! It’s an opportunity to tap something deeper within ourselves which also connects us to a deeper sense of the spiritual. 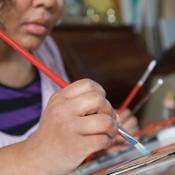 In response to Morgan, art therapists have many ways of guiding and making the process feel safe. If you’re curious I hope you’ll consider giving it a try.